WE ARE BACK! Apologies for being silent this week on the blog. We were having some tech issues and it seems we are up and running again. 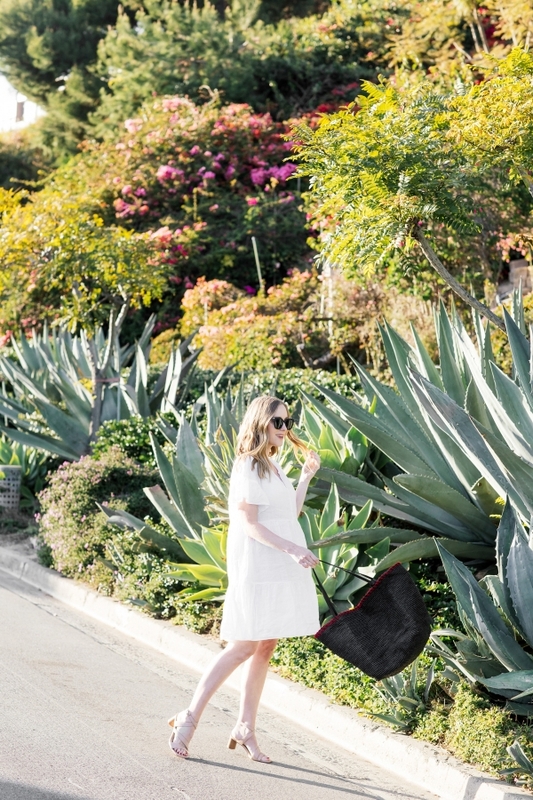 Sharing an easy to wear little white dress today. 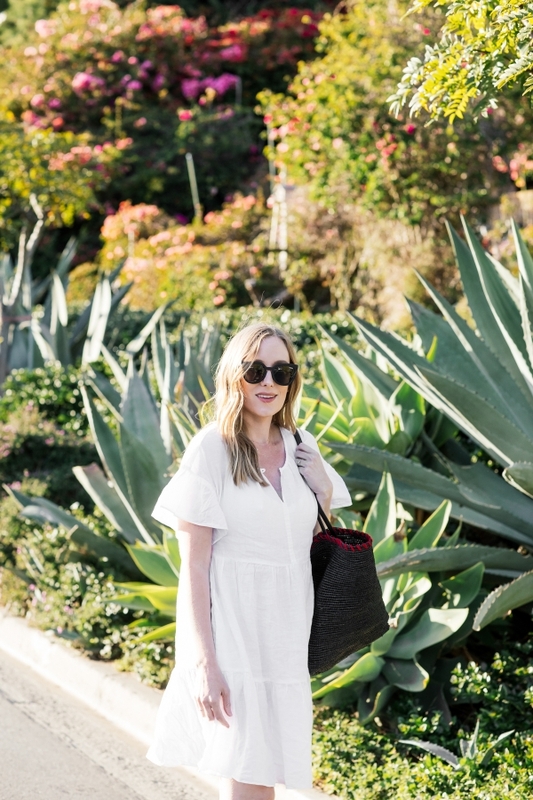 Non-maternity and the material is so soft and light for a warm summer day. Simple and sweet today as I am running off to my prenatal yoga class! One of my favorite Friday activities that I look forward to all week long. Hope everyone has a great weekend! Sharon - This dress i so sweet and flirty! It looks so beautiful on you with your bump. I am also really loving these photos, the light is just too good.